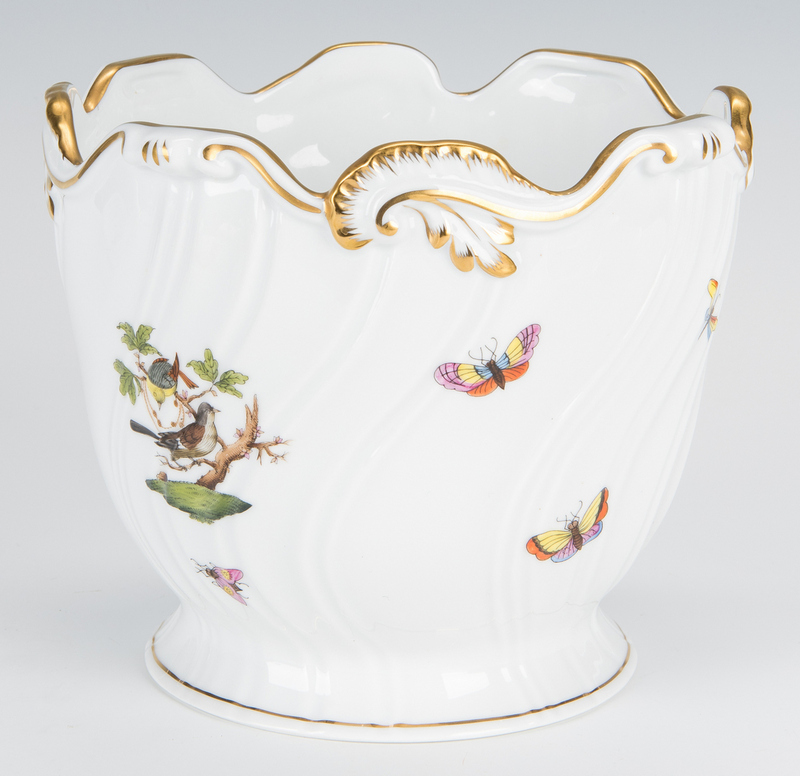 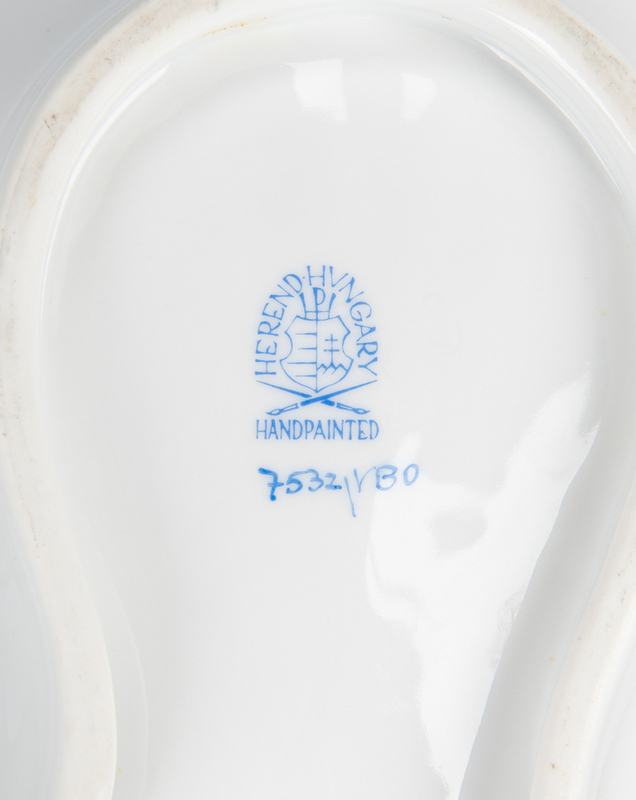 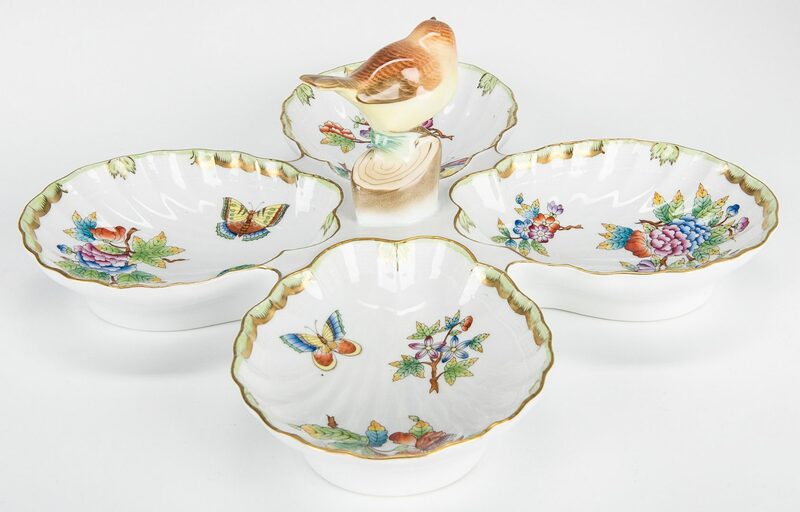 Five (5) Herend porcelain items. 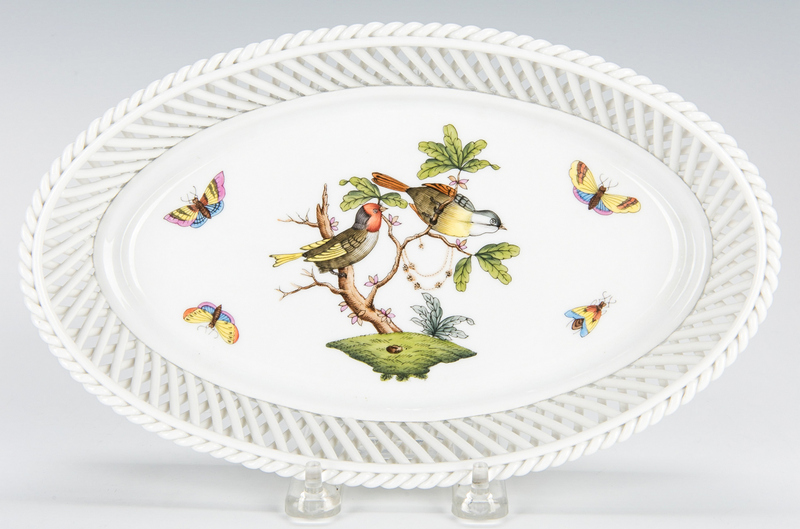 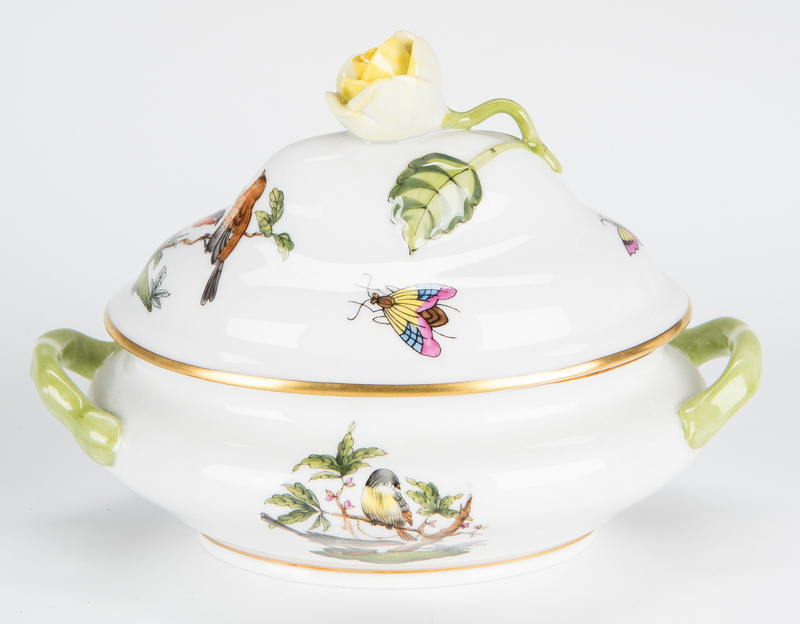 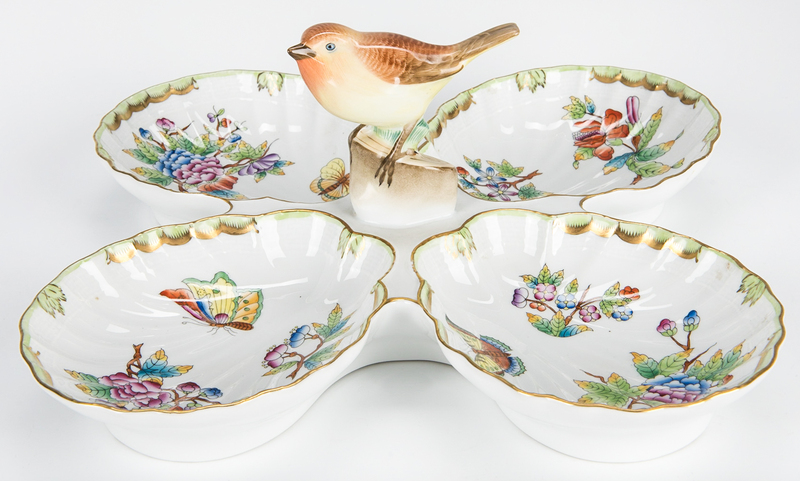 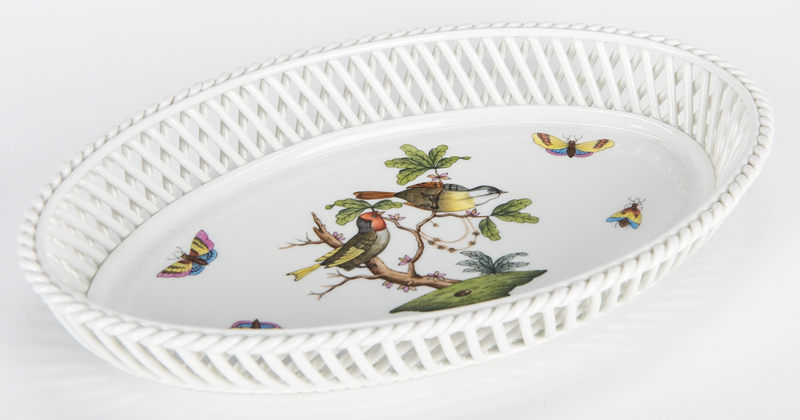 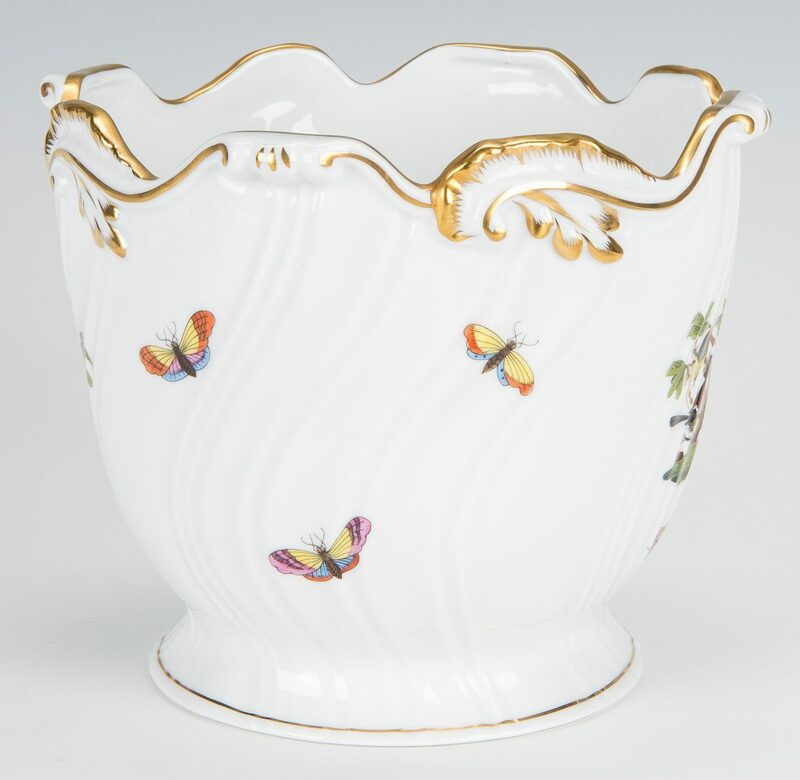 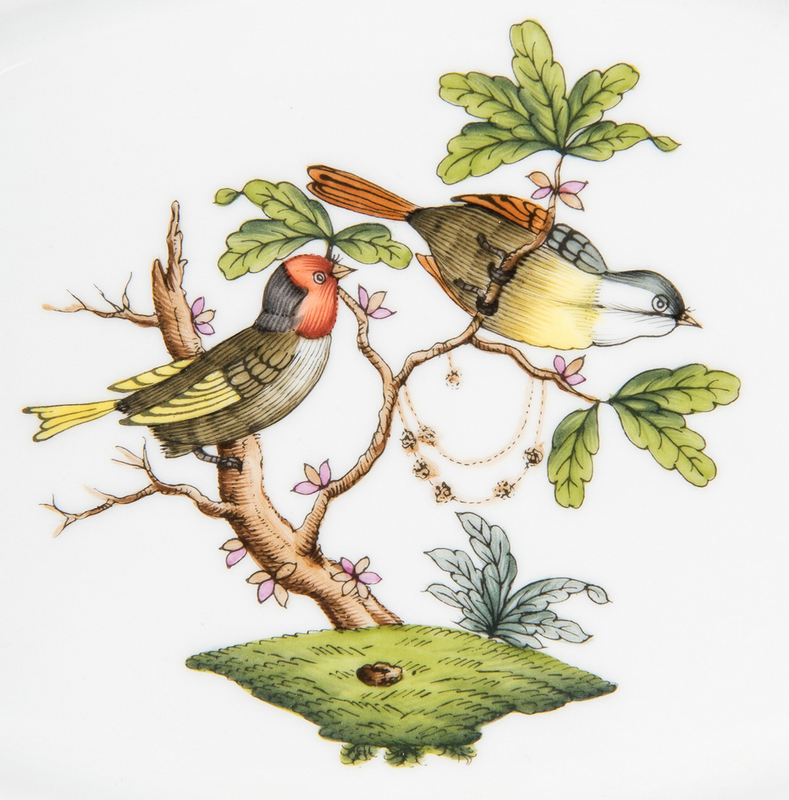 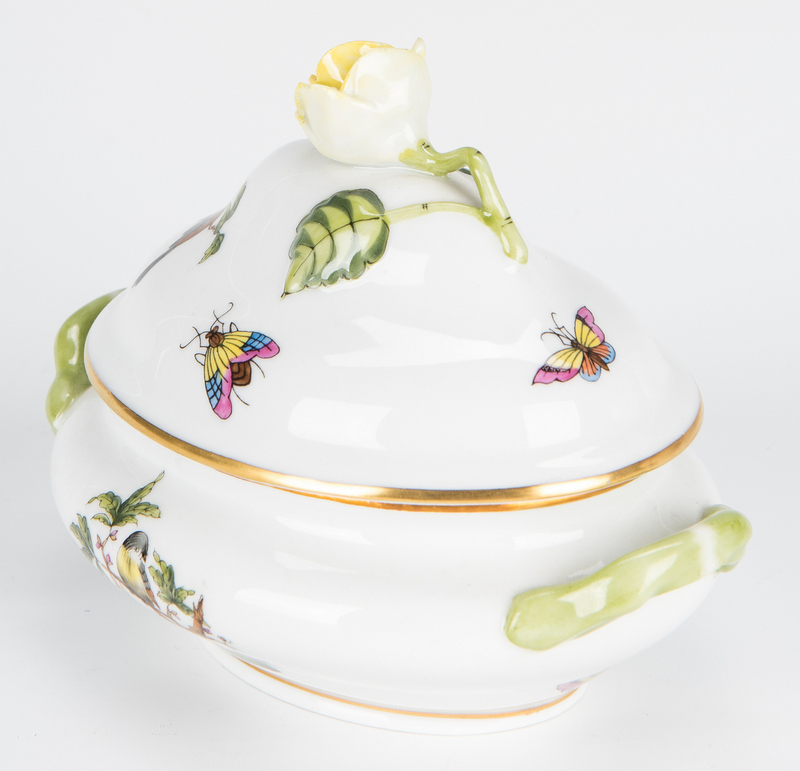 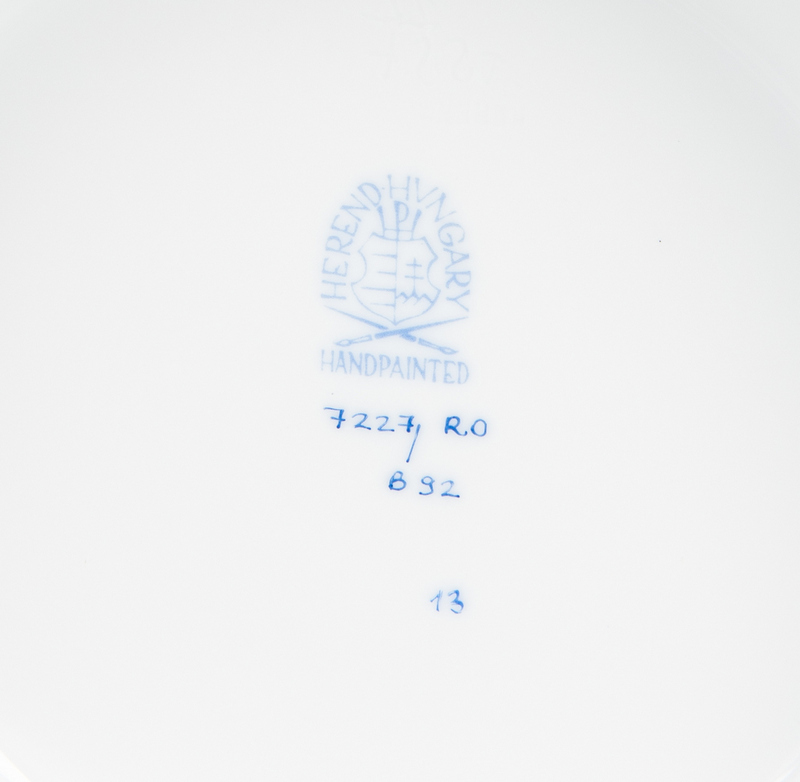 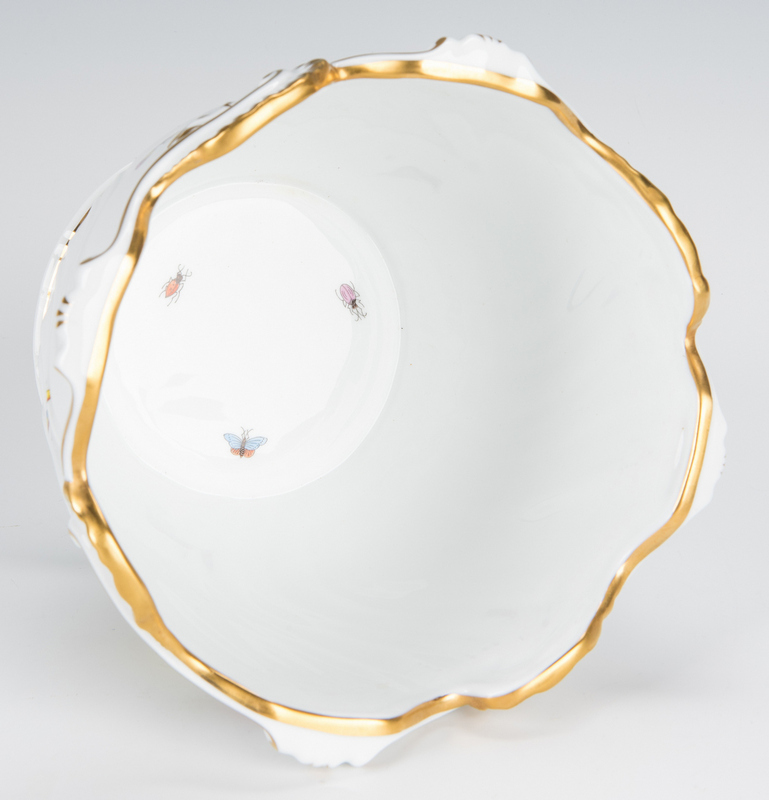 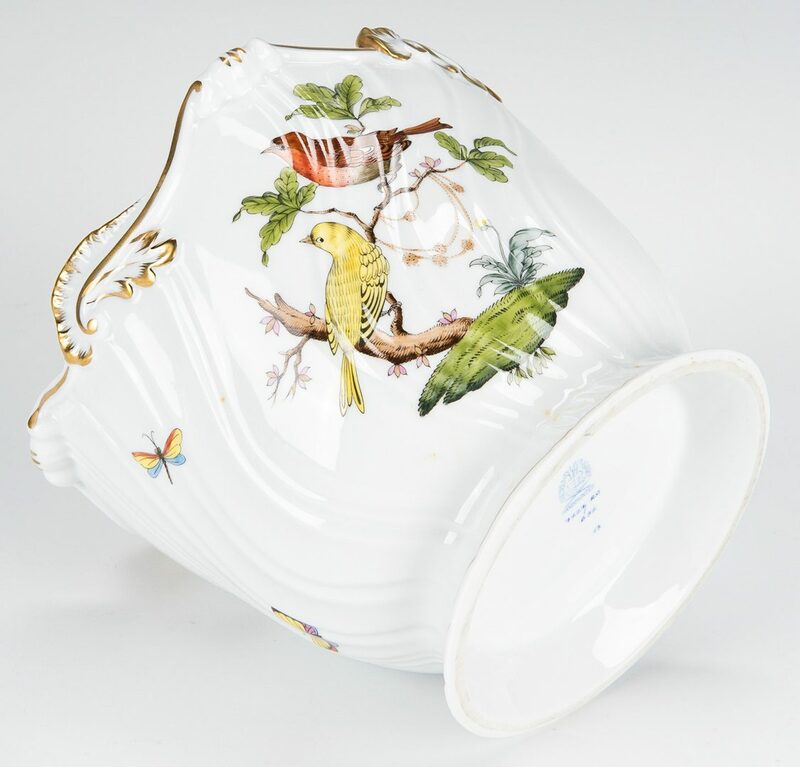 1st item: Herend Queen Victoria Green Border pattern 4-part relish dish with bird finial. 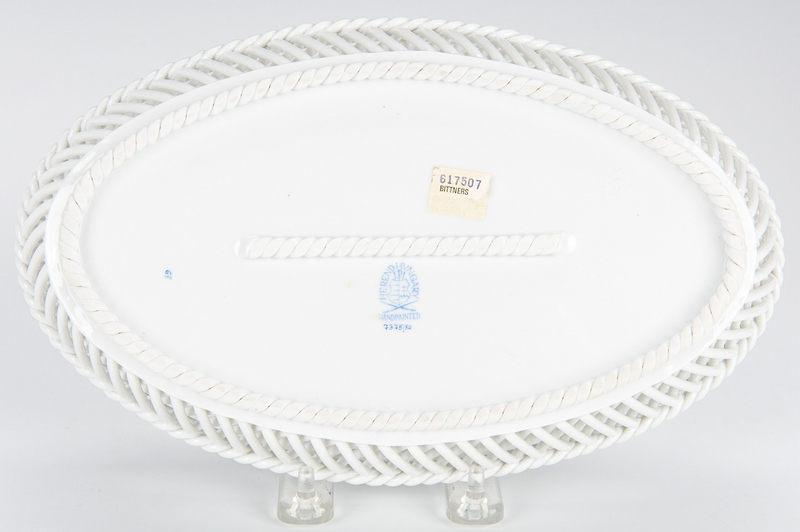 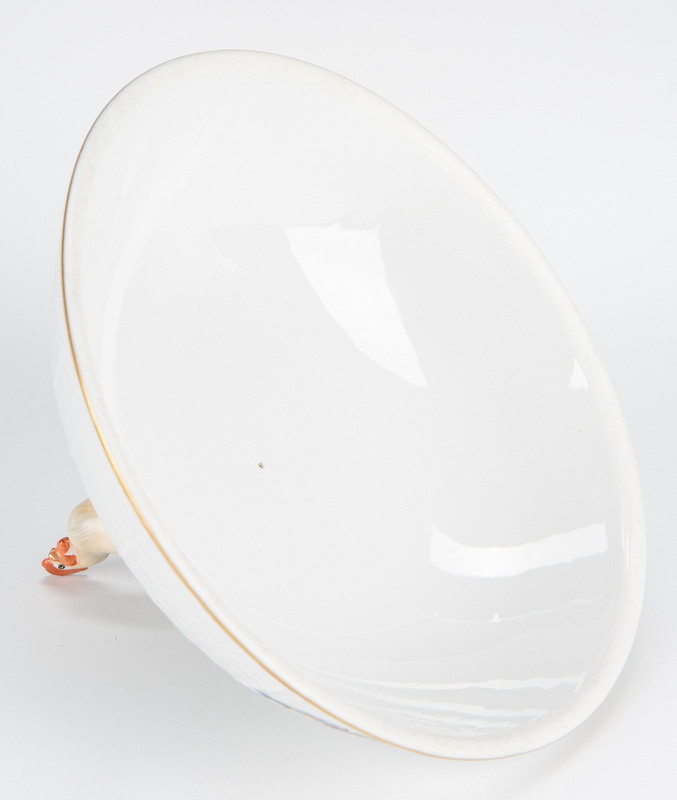 7532/VBO on base, (4 7/8" H x 13 3/4" dia). 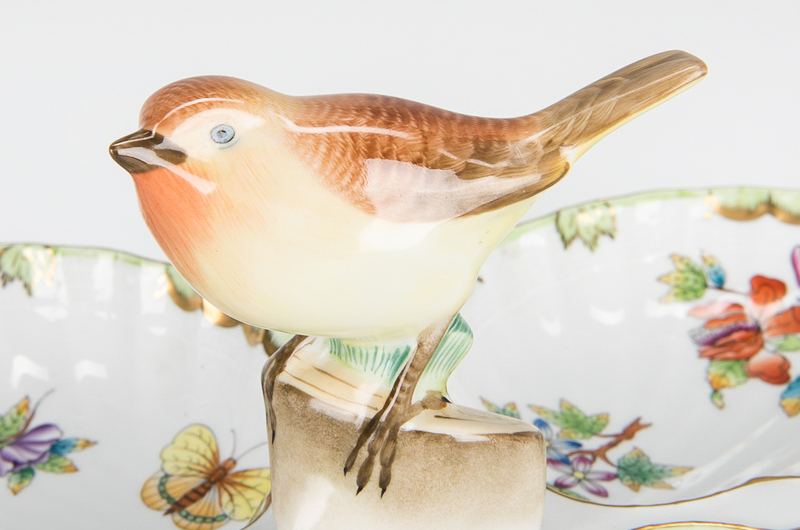 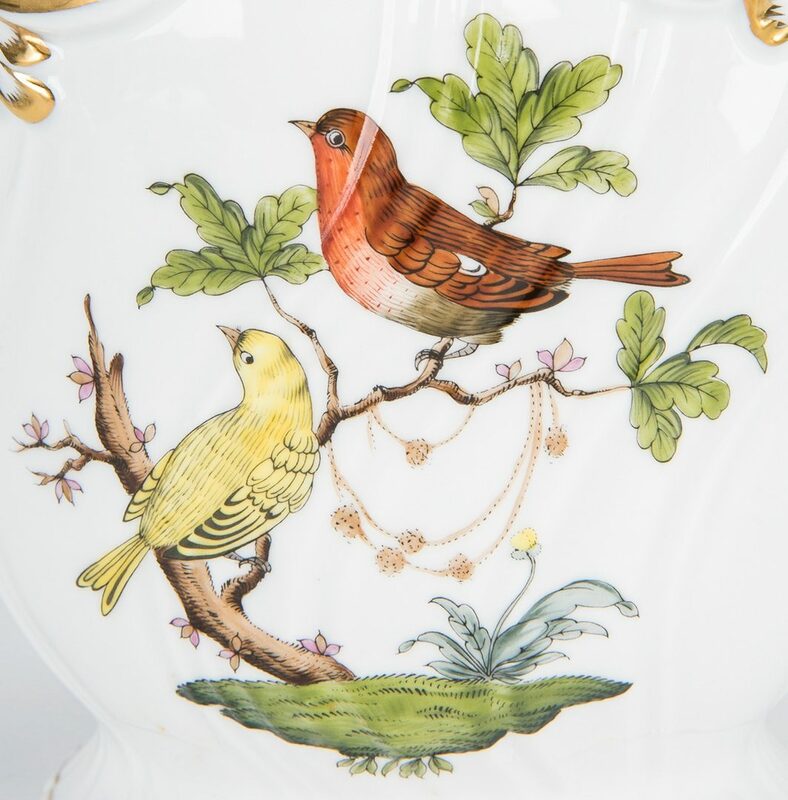 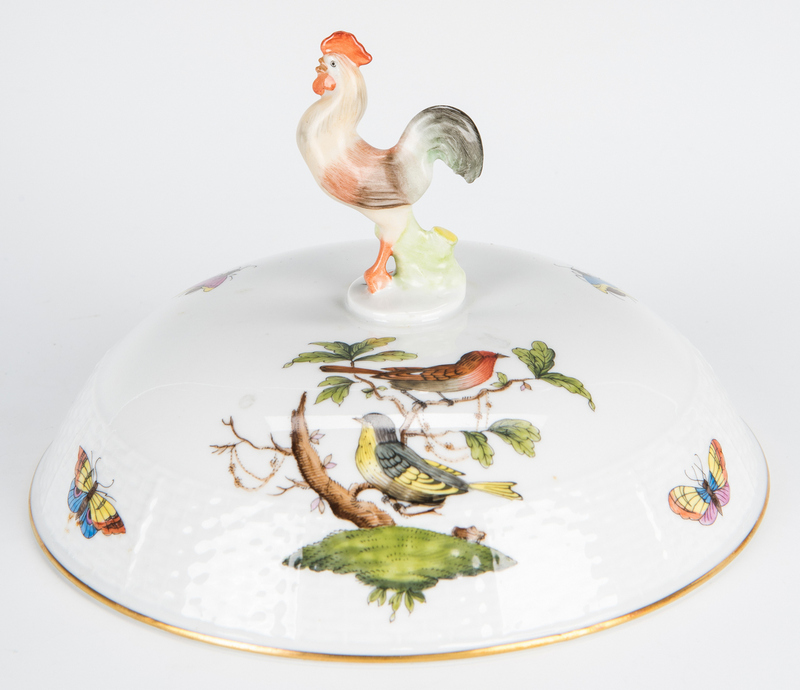 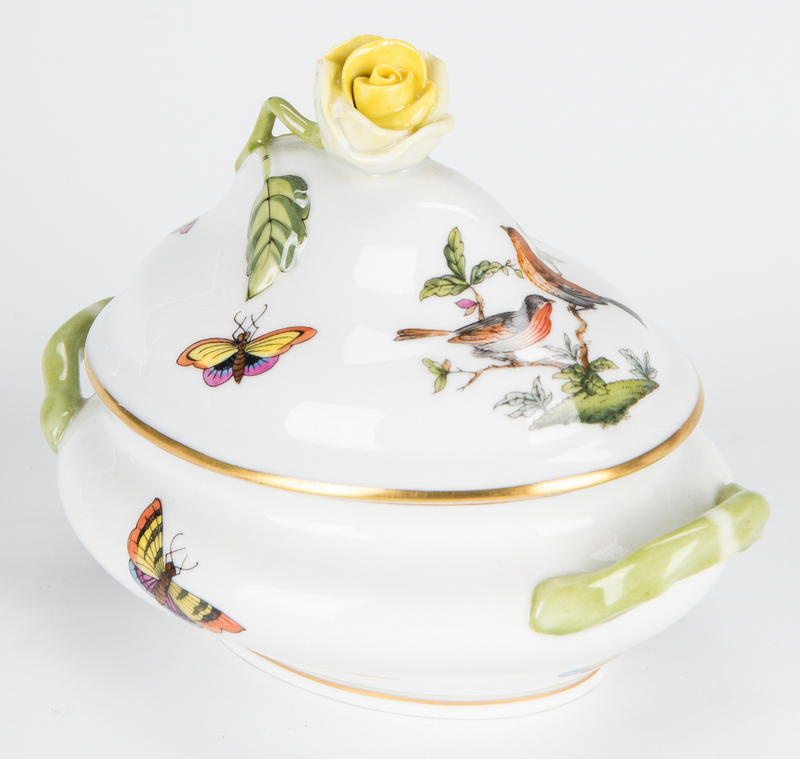 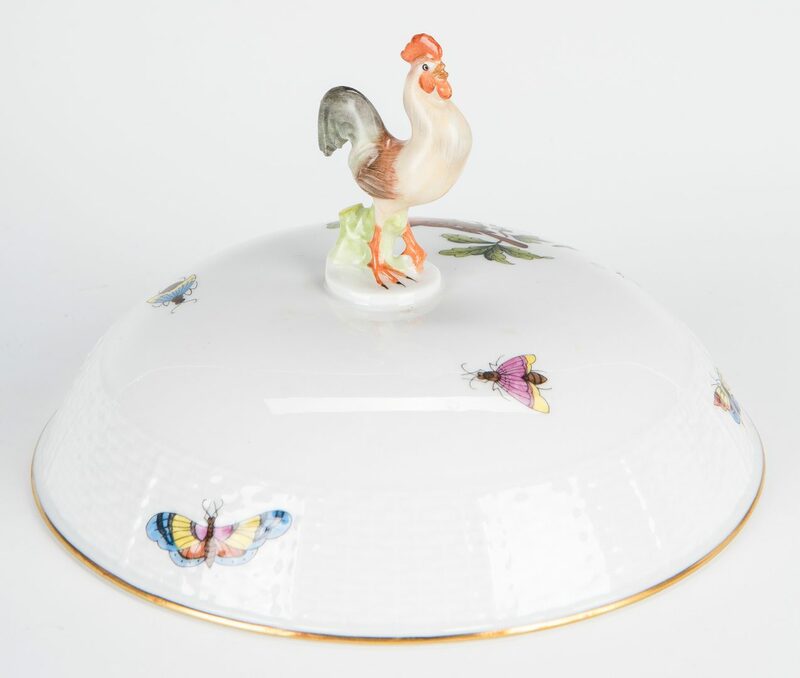 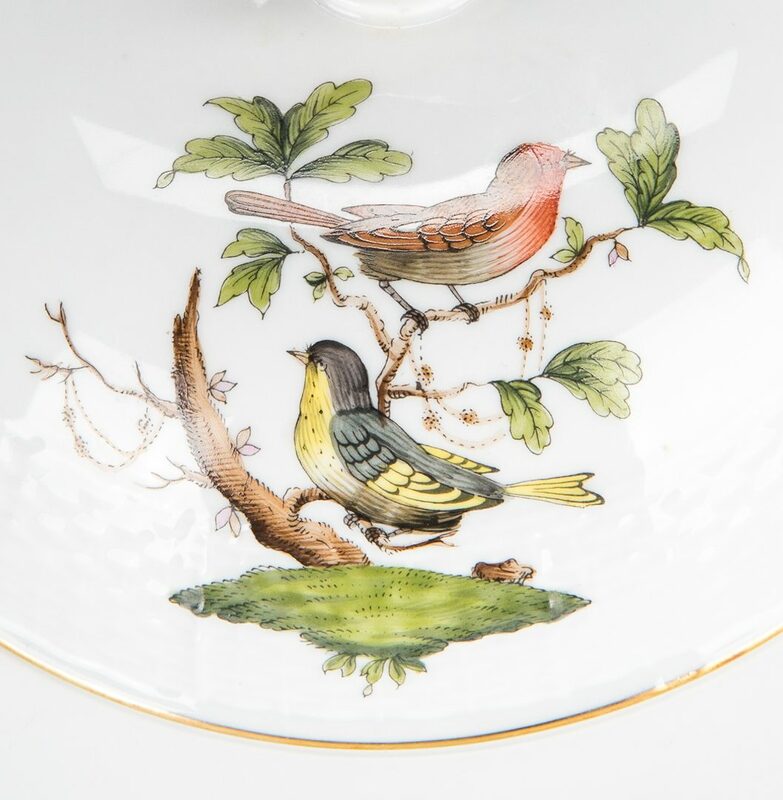 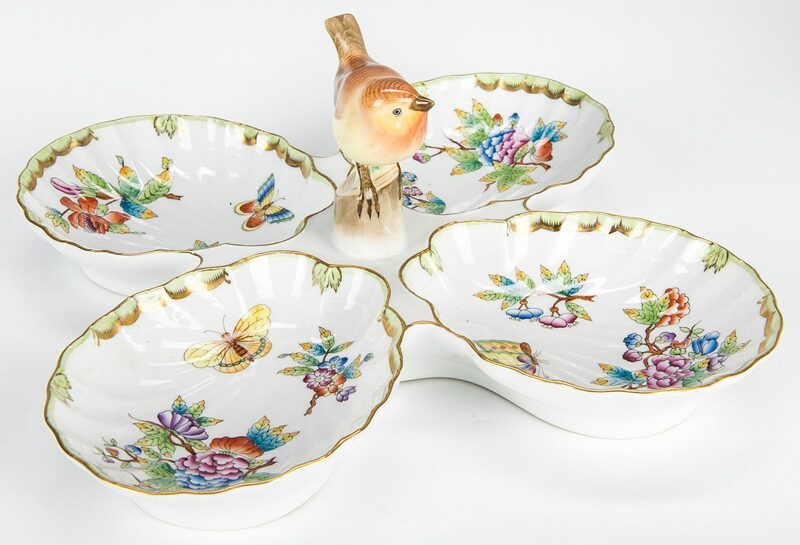 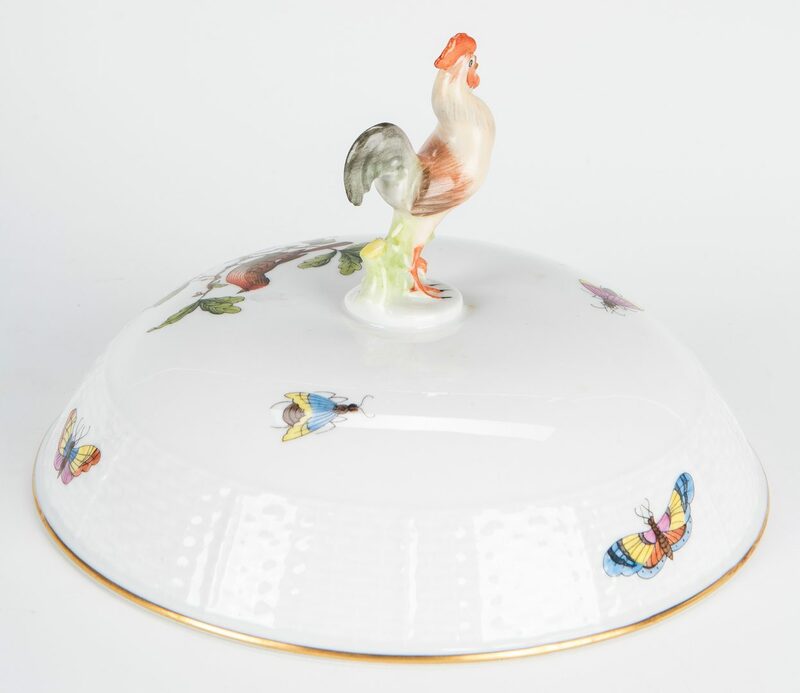 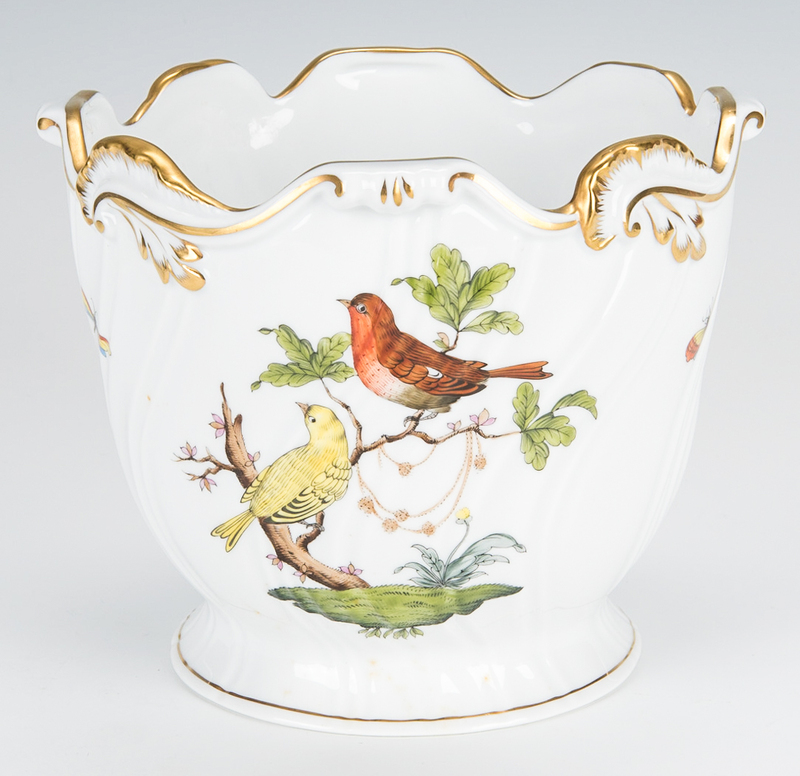 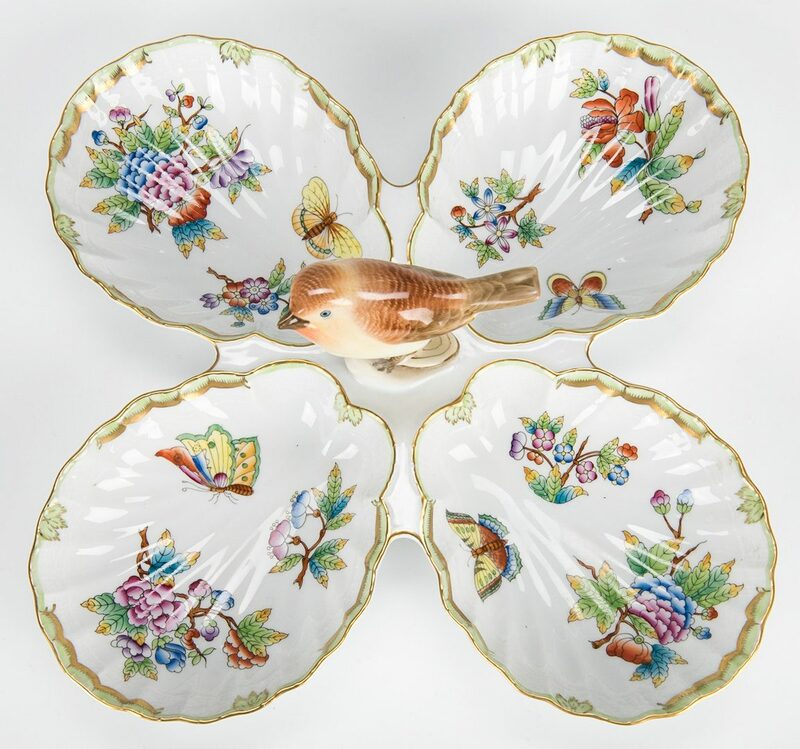 2nd-5th items: Herend Rothschild Bird pattern table items including Cache Pot, 7227 (6 1/4" H); miscellaneous Lid with rooster finial, unmarked (4 1/4" H); Mini Tureen with lid with yellow rose finial, 6017/RO (4" H x 5 1/4" W); 10" Oval Open Weave Basket, 7375/RO, (1 1/2" H x 10 3/8" W x 6 3/8" D). 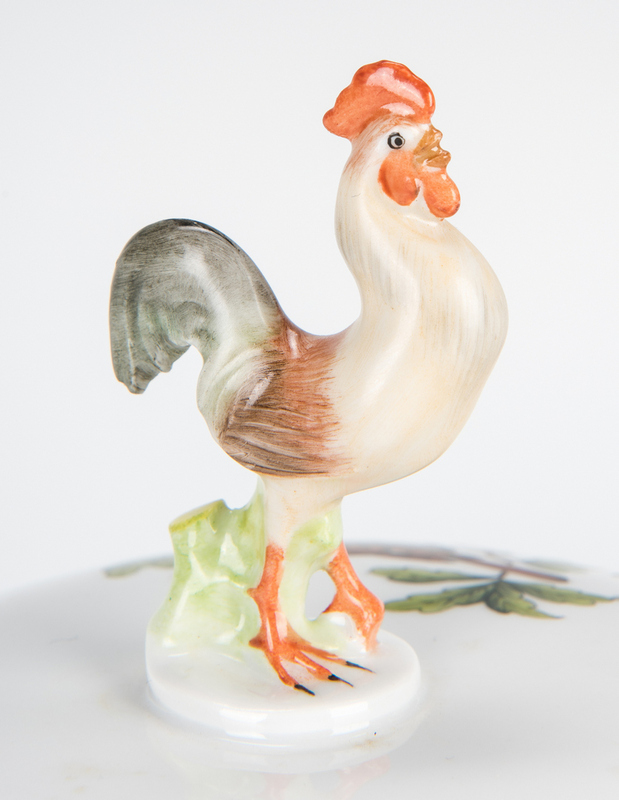 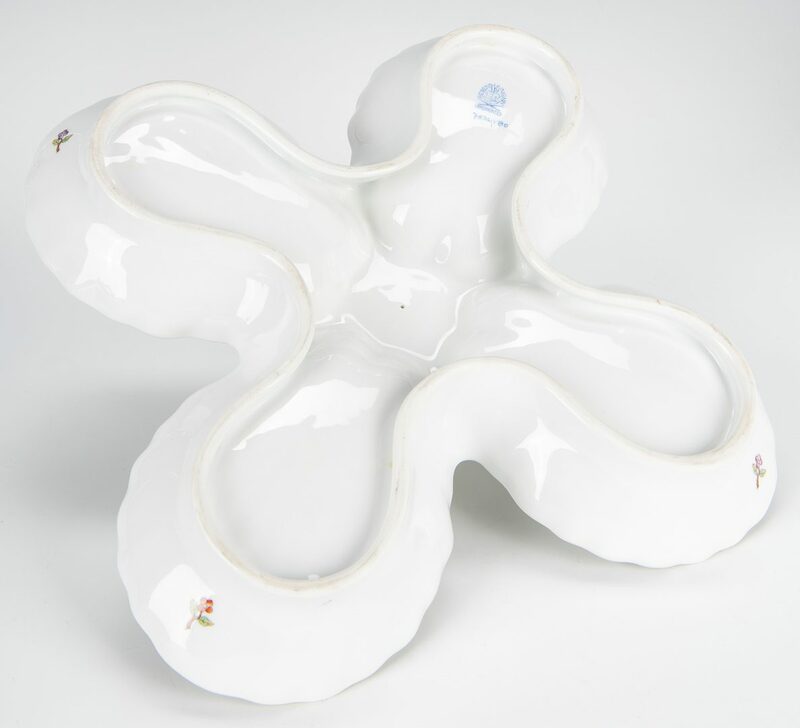 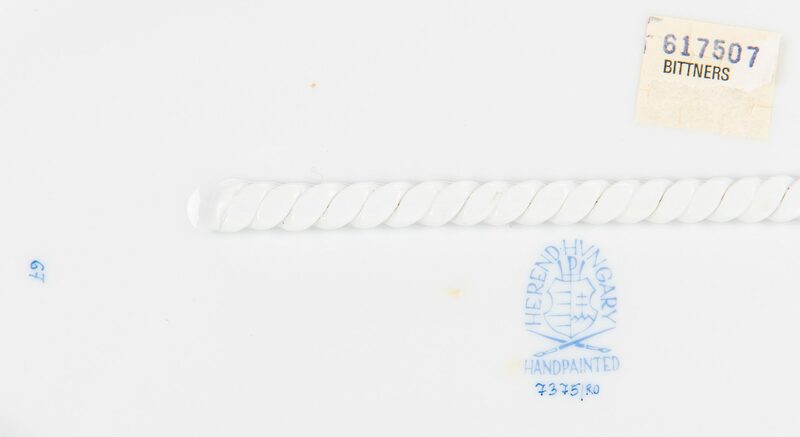 Hungarian, late 20th century. 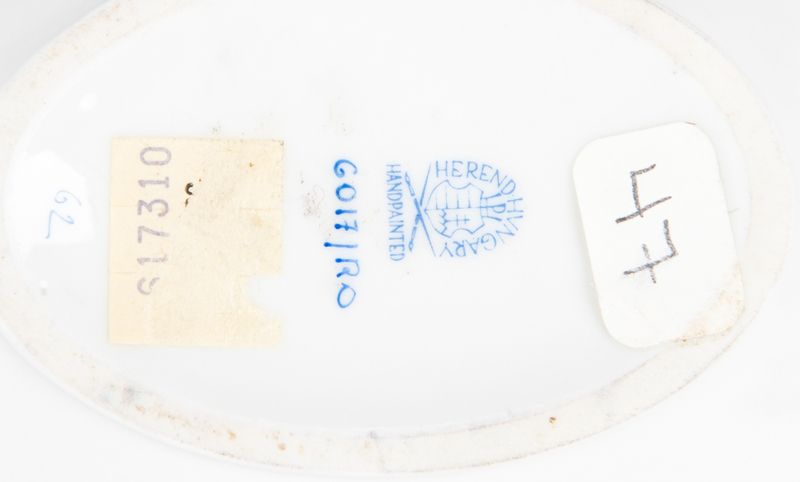 CONDITION: All items in excellent condition.